Muskego was named 2017’s 3rd Best City to Raise a Family in Wisconsin in a recent study from the leading personal finance outlet WalletHub.com. You can find the full study here: https://wallethub.com/edu/best-places-to-raise-a-family-in-wisconsin/39201/. To determine the most suitable places in Wisconsin for families to put down roots, WalletHub’s analysts compared more than 80 cities in the state across 21 key metrics. The data set ranges from median annual income to housing affordability to school-system quality. Muskego is a city of natural beauty that is experiencing robust business growth and economic development. Recreational lakes, quality schools, and an excellent park system including three lakes, acres of recreation, and miles of trails make our community an attractive destination for new business and industry. Our business community believes in developing a prosperous city where families can grow and flourish. We offer many wholesome family activities and events, including: Jammin’ on Janesville; Taste of Muskego on the Water; National Night Out; Muskego Community Festival; and, Country Christmas & Parade. Community highlights include the award-winning Muskego Water Bugs Ski Team, quality productions at the Muskego High School Performing Arts Center, and Muskego Public Library activities--each offering a sense of community warmth and excitement. We are proud of our quality park and recreation programs and the work of numerous civic volunteers. 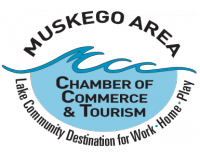 Come and see what a wonderful destination Muskego is!